Lately I have been back reading books. For a while life was just too hectic and my head felt too full of whirling stuff to be able to fully give myself to a book. Thankfully life has calmed down to a mere roller coaster ride and I’m finding some space to get my read on. Books have always had a special place in my life. Mum & Dad used to read us to sleep every night and we were always told that when the world got too tough losing yourself in a book was an excellent cure. So, many of my books have been read and reread since my childhood and every time it’s like seeing old friends. Here though are a few of the fragrant books I’ve been reading this last few weeks. The Scent Trail: How One Woman’s Quest for the Perfect Perfume Took Her Around the World. I enjoyed this book immensely and Celia Lyttelton must have spent a small fortune going on this grand journey around the world, meeting amazing people who grow, harvest and distil the fragrant ingredients that she had made into a bespoke scent. If you ever wanted to know more about where the natural ingredients are sourced then this book will give you enormous insight. Every now and then I had to go back and reread a page because I was lost in jealousy at her great good fortune. I have had this damn book for years and would read the first chapter or two and put it down in bafflement. This year I was determined to read all the way to the very last page, and I did. Tom Robbins leads us a merry dance and the story of finding immortality through scent is spellbinding, once you push through the first few chapters. I find that after reading it I look back on it with more admiration that I had while doing the reading. Jitterbug perfume needs to be reread and savoured next time. To be honest my initial thought was that I would hate this novel. Turns out I couldn’t put the damn thing down. A story told across generations with simultaneous narratives from all the protagonists, happening over a 70 year period. Basically a couple of love stories and a family torn apart by war. Mainly set in Valencia, Spain and there is a lot of fragrant talk because two of the main characters are perfumers. Really enjoyable, if slightly predictable read. An estate, a perfume store, an inheritance, lost love, drama, found love. It’s all here in a very entertaining book. There is something about the writers style that irked me a few times but the story rolls along inventively enough and I ended up invested emotionally in the characters, though they are mostly only mildly likeable. The Perfumed Sleeve by Laura Joh Rowland: A fabulously salacious murder mystery set in old Japan with a few fragrant references. Who knew old Japan was such a sexual hotbed of lies and deceit? The Sari Shop Widow by Shobhan Bantwal: Indian widow and family nearly lose their family shop but the dictatorial oldest brother comes with his business partner to help. Few fragrant references but a cracking good read. My second reading, it was even better this time. I was just thinking of book reviews! I am currently reading Fragrance and Well Being (Plant Aromatics and Their Influence on the Psyche) by Jennifer Peace Rhind. Not a book I can read in a night. This book is full of detailed historical and chemical information about familiar and not so familiar plants and how they have been and are used around the world in incense, perfume and aromatherapy – very thorough with lots of tables and charts. I love seeing what others are reading, it often spurs me on to go browsing the online bookstores. Oh, wonderful! Thank you for sharing these books. I enjoyed the Perfume Collector very much. I can’t resist a charming story set in Paris. Add perfume and you’ve got a real winner. The other books on your list are new to me and will go on my list. I’ve been reading about George Sand, so I was interested to learn there are several perfumes which bear her name. Such fun. Yes. so much to enjoy about The Perfume Collector. I have kept it for re-reading because I’m not sure if it was the writing or me. Thanks for the mini book reviews. Sorry i can’t add anything as i have not been reading for pleasure since i finished my degree as a mature student a few years ago. Perhaps i shall get a kindle for Xmas and will add a few of your reads to it. Kindle has changed my partners life. Being South Korean he finds the whole torturous word finding in a dictionary a nightmare. So when Kindle has a dictionary that you can access by touching the word, with a feature that gives the closest Korean equivalents, we had a winner. I’m glad to see him reading. Personally, I love the whole smell and feel of books. Excellent. I have thought of a Kindle for travel, especially as my eyes start to go. Yes, LOVED S&S. 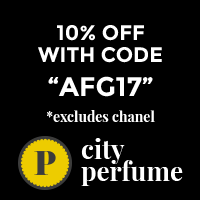 I think I reviewed it here or Perfume Posse. Don’t know how you can read more than one book. I find it too hard. My focus is so captured by whatever story I’m reading that the gear grind can take more than a page to overcome. Thanks for the reviews. I have only one fiction title to add — Damage Control by Diane Hamilton, the fragrance columnist for the LA Times. Good mystery with lots of scent references. I haven’t read any of Jan Moran’s books, but she has written some books on scent. A number are novels, The Scent of Triumph (I didn’t care for the excerpt I read); a gothic mystery, The Collector of Dying Breaths (modern woman looking at Catherine de Medici’s perfumer); and The Book of Lost Fragrances. More interestingly to me, (and possibly better written) she also has a book on vintage perfumes and has some posts on her blog. I’m so glad that I’m not the only one who found Tessaro’s style annoying. I read one chapter online and was not at all tempted to read the book. The Perfumes Sleeve sounds very interesting, as does The Scent Trail. Is Jan Moran also M J Rose? I have and read both The Collector of Dying Breaths and The Book of Lost Fragrances. Happy fragrant potboilers, I enjoyed them both. Perfume: The Story of a Murderer. I’ve read it so often that this is my third version of the book. They fall apart on me. Yes, I’m pretty hard on books. Looks like M J Rose is a different person(looking at their websites) and I was the one who got confused about who wrote The Collector of Dying Breaths and The Book of Lost Fragrances. I am encouraged now to read both. I’d love to hear what you think when you do read them Lindaloo. Wonderful recommendations Portia! Reading is my favourite pastime, especially during wintertime and in the evenings. You know that sometimes unexpectedly and seemingly without a reason you come across a book you’ve never heard of and you start reading with no expectations and it turns out to be the right thing for you…well, it happened to me with The Road Less Travelled by M. Scott Peck. It opened my eyes and helped me to overcome a breakup with my boyfriend. It gave me perfect insight into the nature of love and relationships. I can higly recommend it. When I was about 12 years old my father gave me two books for my birthday. One was The Road Less Travelled and the other was The Naked Civil Servant by Quentin Crisp. I read and adored them both but it wasn’t till MUCH later, after he’d died, that I understood the kindness he’d done me. Did she find the perfect perfume on her journey in The Scent Trail? She had a bespoke made with the ingredients that she travelled the world to procure Fazal. Impressive journey. How does a Bookclub work Esperanza? People talk about them a lot but I’ve never understood the process. Is it a bunch of people who get together to buy in bulk for discounts? REally? you kept putting Jitterbug Perfume down? I first encountered it through Brooke Harvey-Taylor, the founder of Pacifica Perfume. I have read it cover to cover at least half a dozen times over the years. Yes, it never made sense to me in the slightest in those first couple of chapters. So glad I powered through and imagine it will be re-read often.